We are so proud of everyone's accomplishments this year with achieving some of their New Years goals and the Open. We have witness numerous PRs, friendships, and community support. 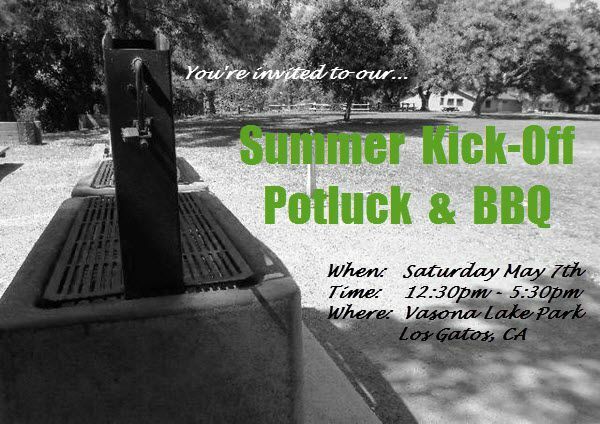 CrossFit Almaden & CrossFit Watsonville are hosting a Summer Kick-Off Potluck & BBQ to bring everyone together to celebrate all their achievements and to kick off the Summer CFA/CFW style! We have reserved a space for this particular event and hope that everyone can make it. Please save the date! We will provide more details as the date gets closer, but here's what we know so far. - Attire: Active summer apparel... for activities! We will need volunteers for this event. If you would like to help, please reach out to Helen at helen@crossfitalmanden.com or Lauren at lauren@crossfitwatsonville.com. They will pay you handsomely...in hugs.